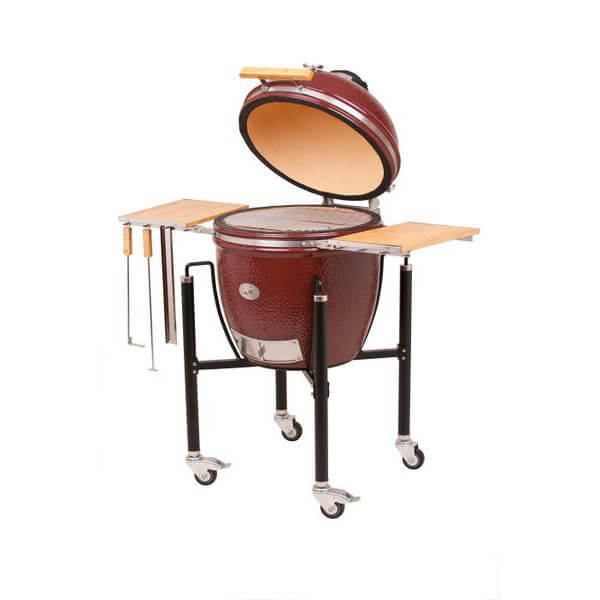 33cm grill diameter, includes steel cart and side shelves. 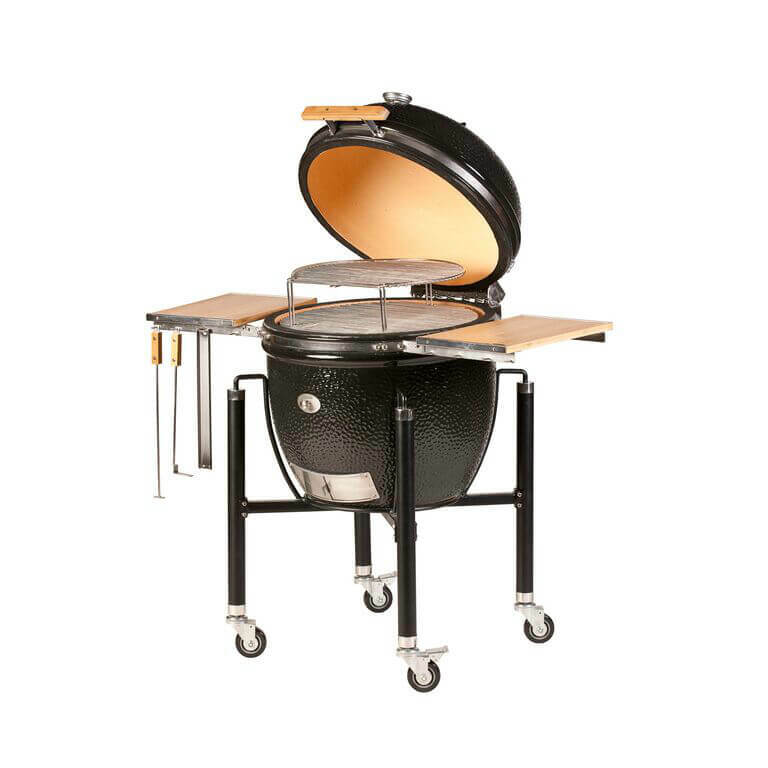 You can collect your grill between 8am and 6pm, Monday to Friday (excluding national holidays) from our office location in Billingshurst, West Sussex. Secure delivery to your address with a signature required upon arrival. 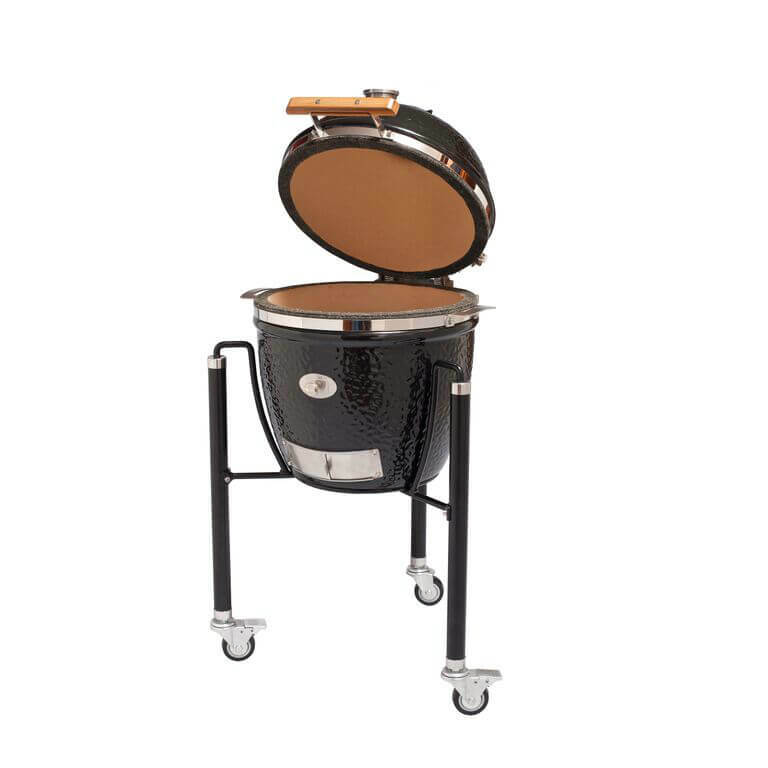 A trained technician will deliver and construct the grill to a location of your choice (on the delivery address site). 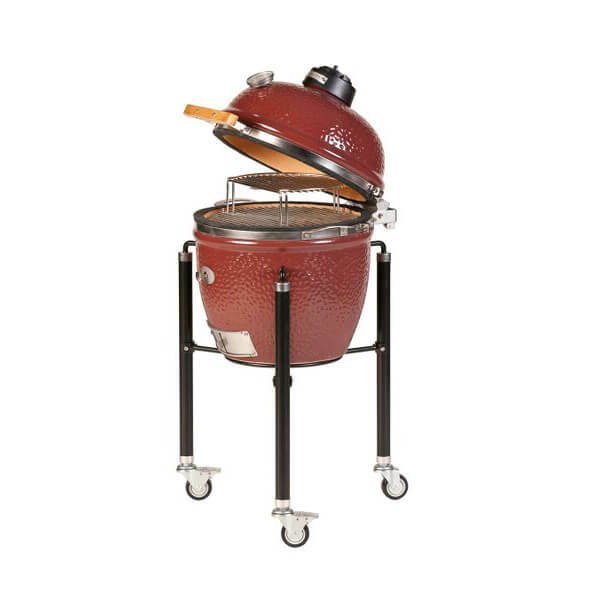 The technician will then heat (coals provided) and demonstrate how to use the grill for between 1-2 hours. You will need to provide the ingredients (meat and/or vegetables). You will also receive a free bonus Flint & Flame accessory pack. Please select your preferred option from the list below. MONOLITH is freedom. 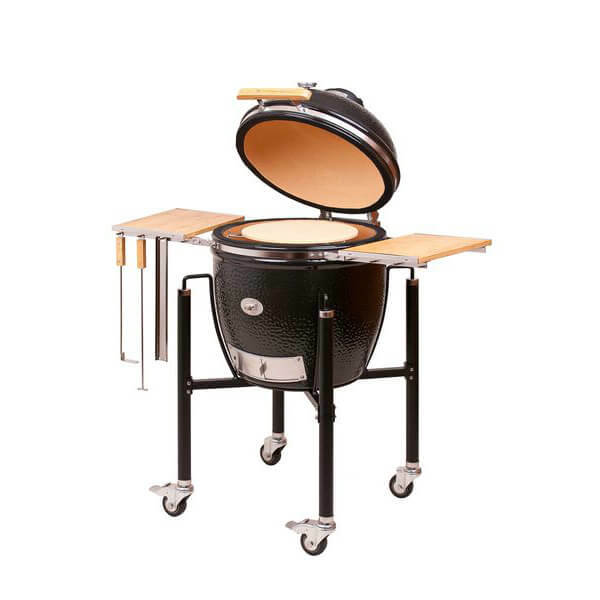 This ceramic grill barbecue delivers on all it promises – grilling, smoking, baking, cooking, barbecuing or roasting. 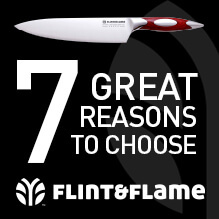 Enjoy all the options it offers, impress your guests and spoil your taste buds. Your garden will become a realm of endless choices. "Steven and Carl arrived dead on time and even though it was raining they still put the Monolith Classic together for us. We tested it out with a few coals on Friday evening just to heat it up a bit and get us started. On Saturday we cooked a Pizza and Sunday we got a bit more adventurous with roast smoked leg of lamb and roast/baked potatoes.